Unité Redux builds off of the implied habitable spaces of the Mass Timber: Micro Unit for Storefront for Art and Architecture. Each of the units is a 16’ x 16’ volume which includes a 2.5’ deep balcony. The generous ceiling space leaves ample room for a lofted space to be created, as needed. 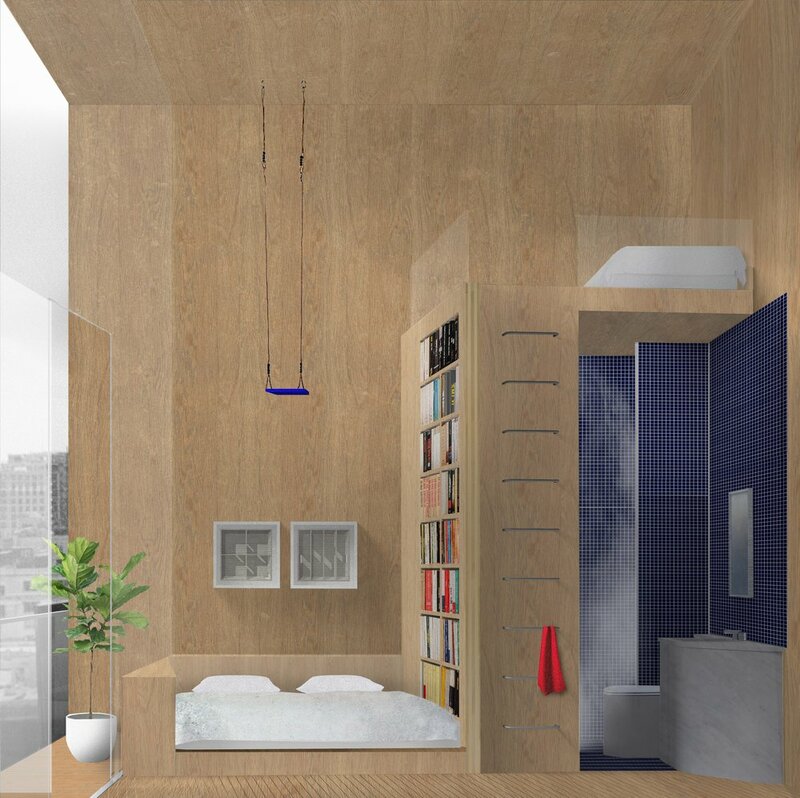 The plans of the units work within the rubric of being a micro unit, and therefore, there is an economy of space in regards to kitchen, bathroom and storage. 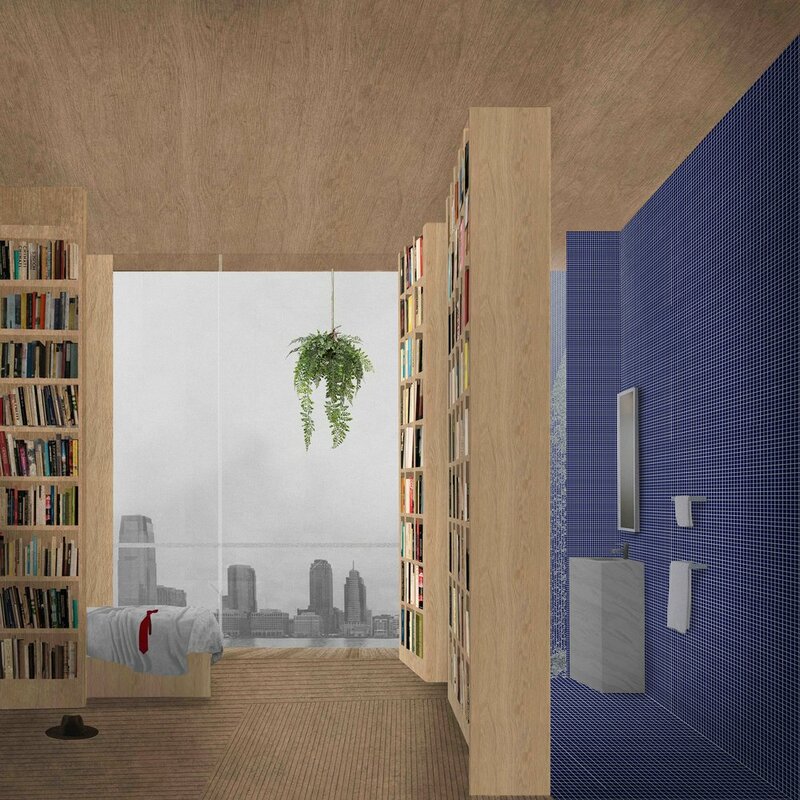 The above plans depict three type of configurations: First, The Bookworm, a young single person whose main possessions include books. The Young Family unit is a couple with a small child, who sleep together in a large bed and who take advantage of the ceiling height by lofting a play space and installing a swing. Finally, the Live/Work individual’s space is conducive to quartering off the domestic space and using the terrace and lofted space for collaborative work, or meeting with a client.